Are you looking for a cheap wedding venue? The unfortunate part about typing ‘cheap wedding venues’ into a search engine is that oftentimes the results you get are truly cheap websites, chock full of spammy, useless links. Keep in mind that ‘cheap’ and ‘wedding’ is not usually something the wedding industry wants uttered in the same sentence, so it’s not likely they’re gunning for you when you include cheap in your search. But we here at IW know that what you really mean is “reasonably priced.” Here’s hoping that the following list will help you on your way to keeping the wedding costs reasonable when it comes to choosing a wedding venue. 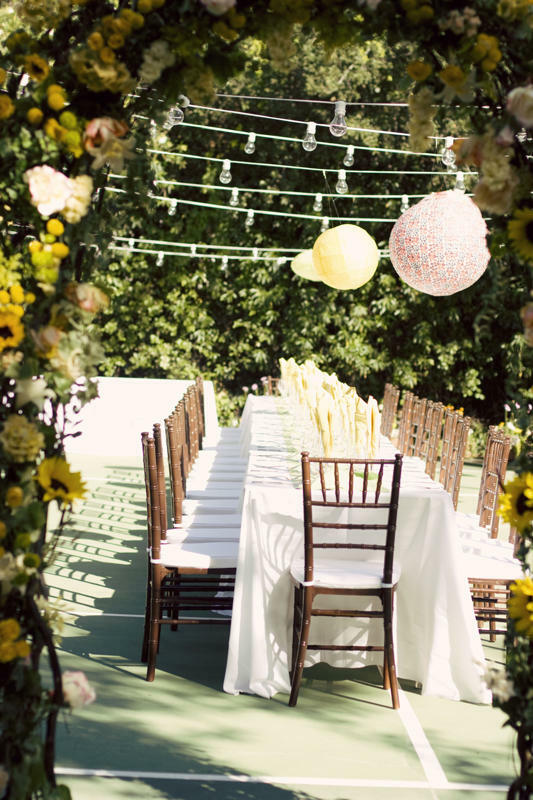 Consider having an at-home wedding. Christina and I had our reception at our home. We gambled on a perfect day for an outdoor tent reception and won big with sunshine and 72 degrees of low humidity bliss. We enlisted the help of Christina’s brother and sister-in-law to decorate the tent and set up for us. We put in the blood-sweat-and-tears of prepping the yard starting in the spring and toiling throughout the summer for our Sept 1 date and plunked down the money for a tent, table and chairs. The tent came from one company and the table and chairs were separate as we found some nice white wooden chairs that didn’t need the expensive fru-fru covers on them. Stay at one location for your ceremony and your reception. 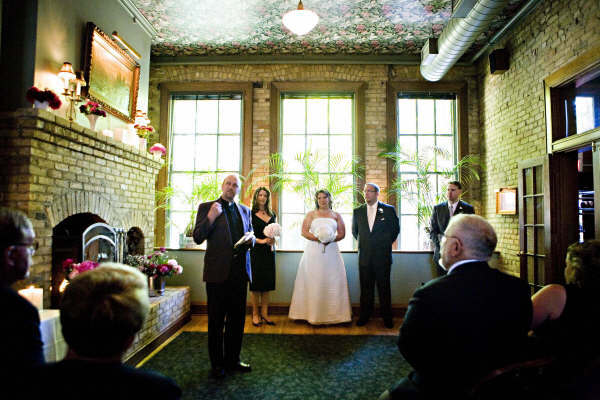 Often smaller venue spaces like bed and breakfasts, lofts, or museums, to name a few have the ambiance and charm for both the nuptials and the intimate gathering afterward. Tip #4 – Go A La Carte. Go a la carte. Do you really need a wedding package with all the fixin’s? Some of the smaller venues that will host weddings may not even offer the “full meal deal” wedding packages anyway, and you have full control over the cost of the catering, alcohol, etc. For our at-home wedding, we hired a caterer who handled the main dinner and also provided a bartender for the evening who served wine and a couple different kinds of craft beers we selected and purchased ourselves beforehand. We didn’t go hog-wild with multiple bottles of alcohol and infinite variety, saving us a good chunk of change. No complaints from any of the guests either. Choose an off season or non-traditional day to get married. If the guest list is small and you don’t have to accommodate 100 or 300 guests on a more traditional Saturday-in-summer wedding, you can get away with a nice small gathering on an Sunday or Friday evening, and the venue may offer a break since you’re not competing for the premium time slot. Have arestaurant reception.Swanky restaurants off the beaten path or in the heart of the city may not be able to accommodate 300 of your closest friends, but may be able to handle 25 or 40 guests without a problem as long as they have lots of notice. If you like the restaurant’s menu and its atmosphere, you’re done. No linens, tableware, chair covers etc. to rent. No caterer to hire. Maybe a few fresh flower bouquets or other DIY table accents and blamo, instant cozy wedding reception venue. 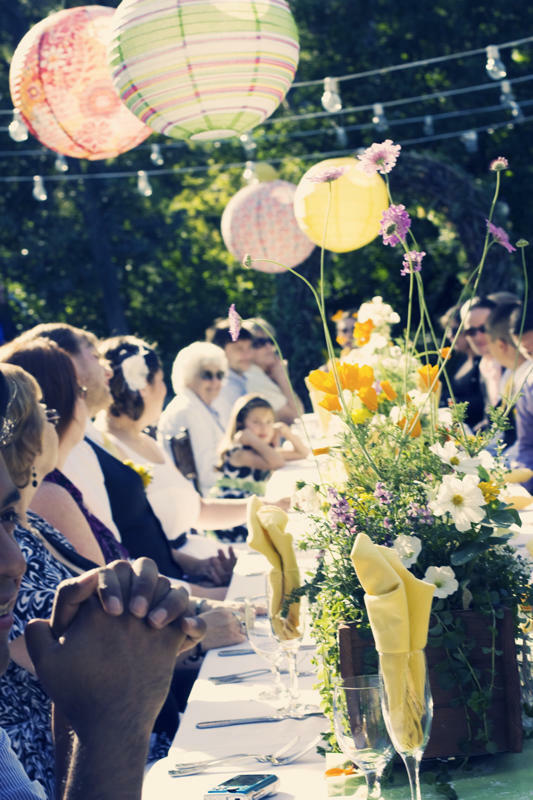 You’ll want to make sure the restaurant is well established and has done weddings before. References are always a good idea. You don’t want to find out a month in advance that your venue has shut down because the restaurant went under. 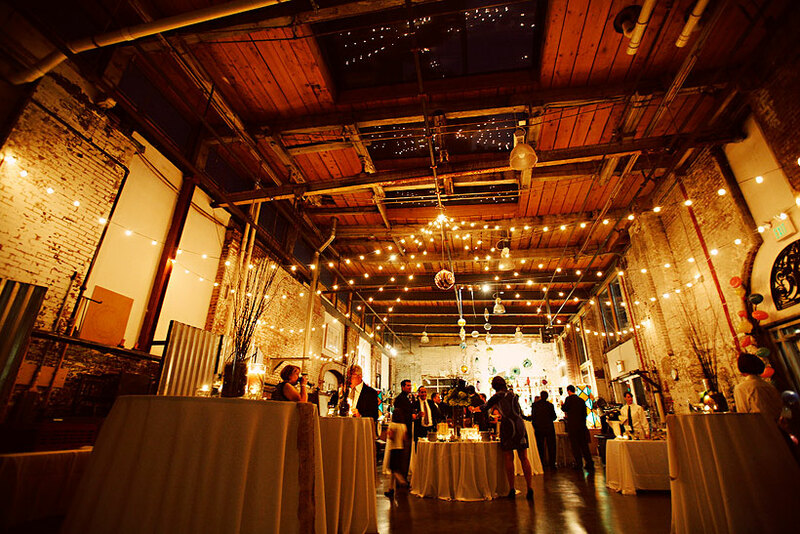 Have a venue in mind that doesn’t advertise wedding rentals? Don’t be afraid to ask! When your guest list is small, many more options are available to you. Bed and breakfasts, small country inns, quaint downtown bistros, the list is endless. Often with a small guest list events are a bit more low-key (not always though!) and the owners of unique venues are willing to accommodate weddings.